He exhibits all that we desire in a male and so much more. He has a magnetic presence with a charming, inquisitive personality and is an absolute gentleman. 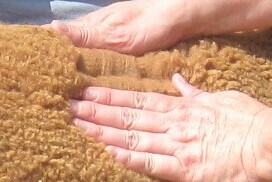 His well-balanced, heavily boned frame is entirely covered with dense, carpet-like fleece. 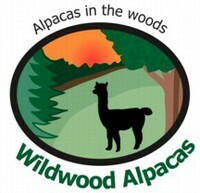 Whether you part Lancaster at the neck, hip, leg, or side you will not be disappointed. 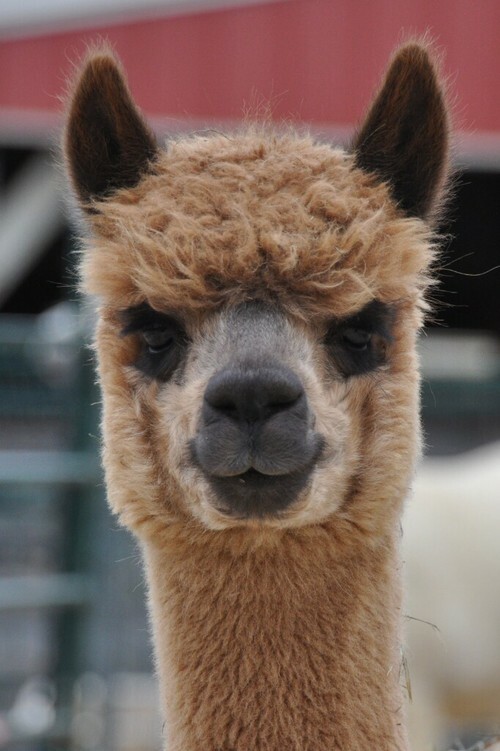 His lustrous fleece is not only uniform in micron but very consistent in both character and style. 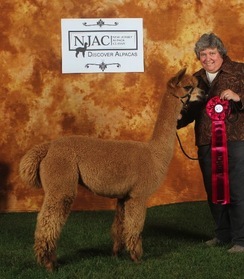 Lancaster is passing on his quality fleece and strong conformation to his get. Lancaster throws color of the dam or a shade or two either way 70% of the time. When he's not letting the dams color through he's producing black out of grey & fawn from darks. The lingering fineness on this female is unbelievable. Her handle is unlike any other true black her age. Really a first class female. 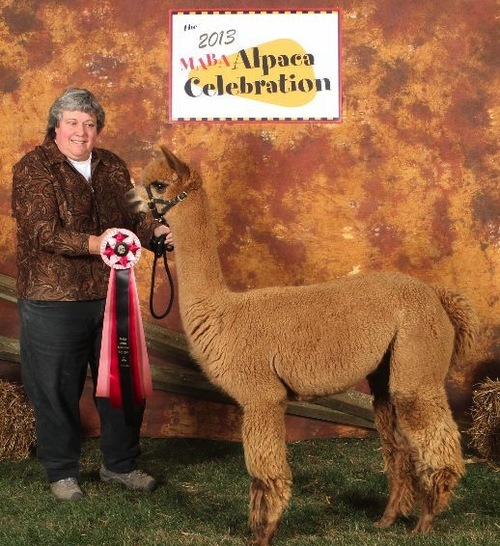 Carmella is a beautiful light brown female out of multi-champion Lancaster (Herdsire of the Year at 2010 MAPACA Jubilee). Her dam is a Jericho daughter with the most incredible lingering fineness in a true black you've ever felt. She is very dense, fine and has a very consistent staple. Carmella is taking the best of her parents and is a stunner. The black highlights of her dam are really coming through as she gets older and she will likely throw black when it's time for her to breed. As sweet as she looks, she's a nice addition to our herd. 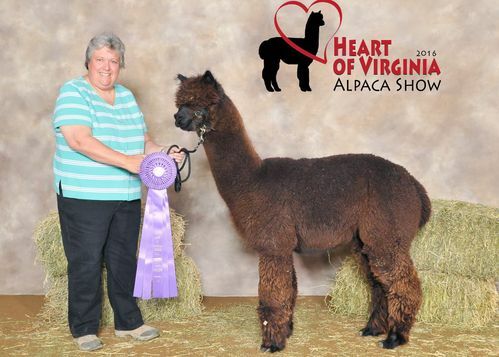 Carmella took sixth place in a very competitive class of light brown yearling females at the 2013 Southern Select show and again at the 2013 Virginia Classic. 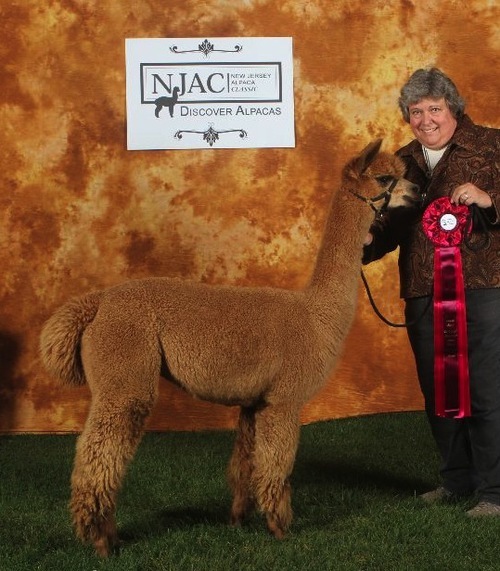 After shearing and half a year of regrowth, Carm's fleece came in even better and she won the red in her first show of the Fall, 2013 NJ Classic. Her first cria has done well in the show ring and her second cria is a gorgeous true black male sired by our two time champion black Juno. 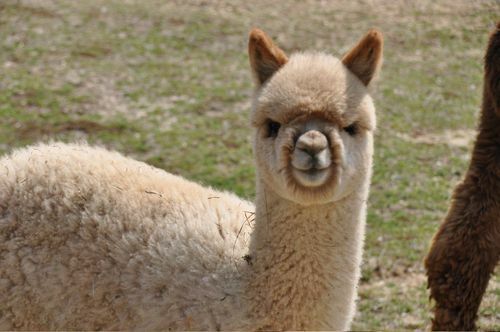 She comes with a cria or breeding to any of our herdsires. Carmella has been adopted by Amanda.